Moses Jones was born at 7:00 am on Friday the 15th December, 1843 in Bridge Street, Merthyr Tydfil. Our first Jones ancestor (2 x GGrandfather) to be born in Merthyr Tydfil. His twin brother, Aaron, was born nearly 6 hours later around 1:00 pm. The twins were the last of the 7 children of Daniel and Ann Jones. Merthyr Tydfil in those early days. 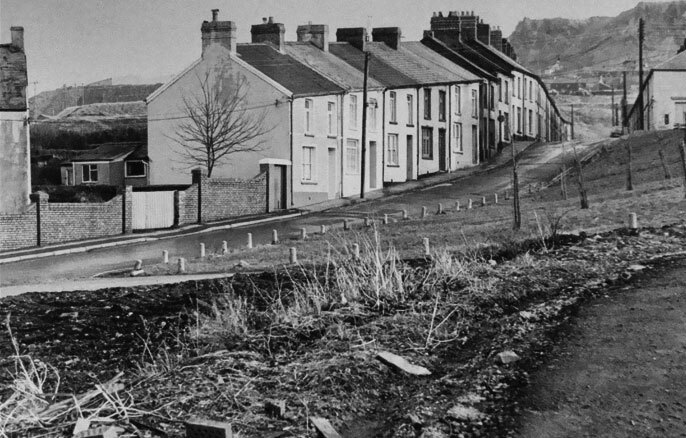 To quote Dr Chris Evans, Historian, talking about South Wales towns in the 1840’s “……..being a baby in Merthyr Tydfil was not a good idea.” I’m pleased to say Moses and Aaron lived to a good age. However, the road Moses followed must have been one that presented many twists and turns. He avoided the Cholera epidemic of 1848/49 where Merthyr was the worst affected town. 1,389 deaths were reported and it may have been higher! Moses would have been about 5 or 6 years old at the time. A sobering thought if he had succumbed to Cholera, I and many others would not be here today! In these respects the town is in a sad state of neglect; with the exception of some little care in the main streets and regulations about removing ashes before the doors in Dowlais, all else is in a miserable condition. From the poorer inhabitants, who constitute the mass of the population, throwing all slops and refuse into the nearest open gutter before their houses, from the impeded course of such channels and the scarcity of privies, some parts of the town are complete networks of filth, emitting noxious exhalations. Fortunately the fall of the ground is commonly so good that heavy rains carry away some of this filth. There is no Local Act for drainage and cleansing, the Highway Act being that in force, and the chief lines of road appearing to be under the Commissioners of the Turnpikes. During the rapid increase of this town no attention seems to have been paid to its drainage and the streets and houses have been built at random, as it suited the views of those who speculated in them. I doubt whether Moses or any of his siblings went to school. Although in the 1840s, the Guest family who owned the iron works at Dowlais did provide infant schools, day schools and evening classes for both employees and their relatives. The education act, making it compulsory for children to go to school was not enforced until 1880. It’s more likely he would have been working from a very early age. However, in 1844, the Factory Act was passed which meant any child under the age of 13 was not permitted to work anymore than 6.5 hours per day! In the 1851 census of Merthyr Tydfil, it shows Moses listed as a 7 year old ‘twin’. It usually says scholar, but under his and his brother Aaron it’s listed as twin. In the census of 1891 Moses is listed as being able to speak both English and Welsh. I wonder which one he chose as his main language? By the time of the 1861 census of Merthyr Tydfil, the Jones family are living in 9, Victoria Street with one exception. Moses isn’t there. He would have been 17, a young man. His twin brother Aaron is living there as are all the other siblings. I seem to have a direct line of Jones ancestors that vanish on census day! There must be other reasons. There is a Moses Jones aged 17 lodging at 24, Rhydycar, Merthyr Tydfil and employed as a coal miner. He was staying with a couple by the name of William and Ann Williams. 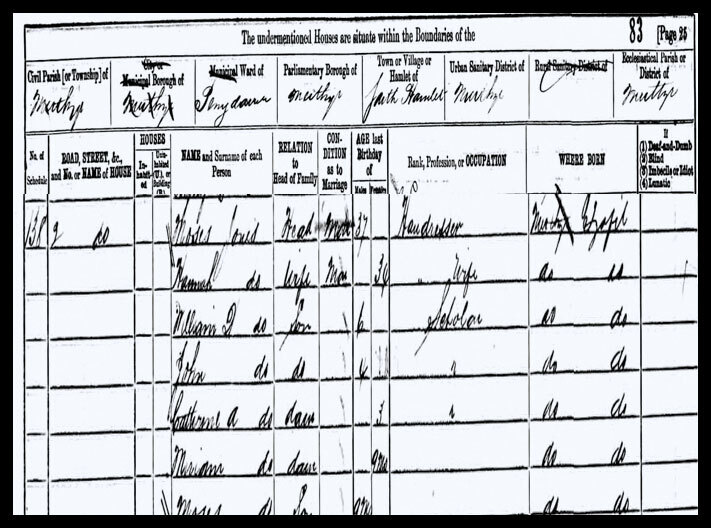 There doesn’t appear to be any other Moses Jones on the census for Merthyr at that time who was 17. Perhaps he just wanted his independence, his own space as Merthyr was a little overcrowded to say the least. In the 1871 census we have found a Moses Jones of the same age, 27, living at The Rear of Travellers Rest, Heolgerrig, Merthyr Tydfil and again his occupation is Miner. By the last quarter of 1873, Moses was a married man. He married Hannah Richards who was also born in Merthyr Tydfil in 1847. In the 1851 census of Merthyr, Hannah is shown living with her parents William and Catherine and siblings Catherine and Ann. Catherine is shown as the same age, 3 years, but it doesn’t identify them as twins. Now, in 1861, the Richards family are still residing at the same place, but now there’s no Ann. There’s a new addition of Mary who’s aged 4. It’s possible then that we have a twin, Moses, who is the son of a twin marrying a twin, Hannah. By 1881, Moses is living at 2, Pontmorlais West, Merthyr Tydfil and his occupation in now a barber. Perhaps he was working with brother Aaron at the premises in Victoria Street? He and Hannah now have a young family, and 1881 is the first time we see GGrandfather William Daniel (Big Daddy) mentioned. 2, Pontmorlais West, Pennydarren, Merthyr Tydfil, Glamorgan. William Daniel is the eldest and it looks like more twins. Miriam and Moses. It’s another story, but from what I can find in the archives, Miriam didn’t live very long. They must have moved as youngest son, Lewis was born in 3, Bethesda Street on the 3rd April, 1888. 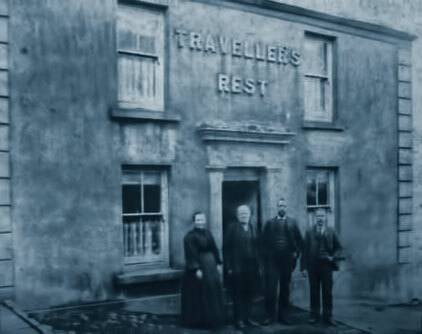 By 1891, the family had moved again, this time to 23, Penyard Road, Penydarren. 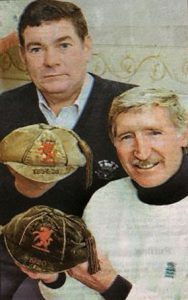 This was the start of a long association with that part of Merthyr Tydfil for our Jones family. 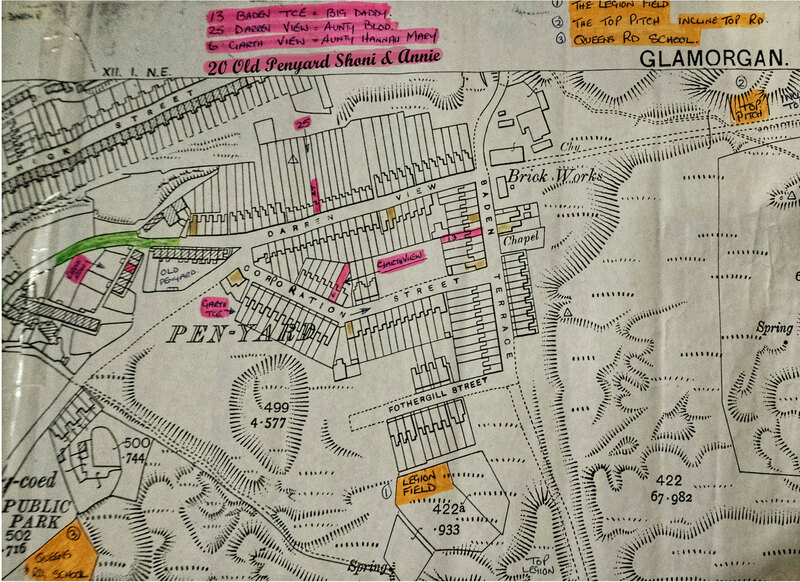 My father was born at 20, Penyard in 1926 although these houses have long since been demolished. Interesting to see that in 1891, Moses was once again in employment as a Miner. Twin, Aaron was still residing at the hair cutting business in Victoria Street. The 1891 census also shows Moses and Hannah have lost Miriam but added another child, their last son, Lewis. There’s no sign of another son, Ivor, who was born in 1885. He is listed in the family tree and later married Myfanwy, but why he isn’t on the census of 1891 I don’t know. He plays an important part too as an informant when Moses passed away! It seems that poor Hannah, Moses’ wife passed away in the last quarter of 1893 at the age of 46. From this point on, it looks as though Moses lived his life alone and in circumstances that did not look particularly happy. According to the Electoral Register of 1895, he was still living in Penyard, but by the 1901 census he is lodging in Dowlais. There’s definitely another family living at the address in Penyard in 1901. Moses Living In The Workhouse. By the 1911 census, Moses was in the workhouse. The Merthyr Tydfil Union Workhouse and Infirmary in Thomastown. He was 67 and working as a coal hewer. He lived his life out at the workhouse until August 27th, 1914 when at the age of 70 he passed away in the infirmary from a stroke. He was still working as a labourer in the steelworks in Dowlais. 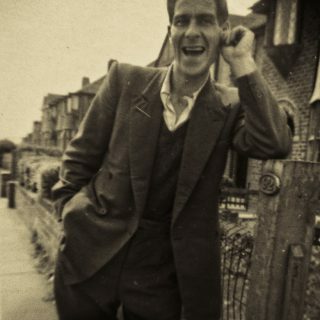 His son Ivor, (Big Daddy’s younger brother known as a Master Hairdresser on the 1911 census) registered the death. 27th August, 1914, Workhouse Infirmary, Merthyr UD. Moses Jones Male 70 years. Steelworks Labourer. Informant: Son, Ivor Jones, 19, Lower Colliers Row, Merthyr Tydfil. Aaron Jones Goes To Gaol! While searching through thousands of records you usually come across something quite unexpected. The record below is from June, 1910 and shows Moses twin, Aaron, who was a Barber was sentenced to 14 days imprisonment in Swansea Gaol for being drunk and disorderly!